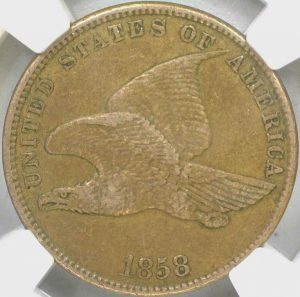 Today’s coin of the day is this 1865 Two Cent Piece. 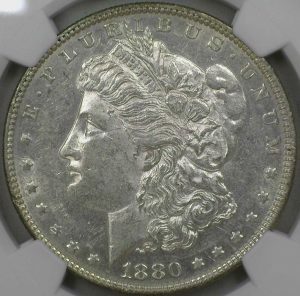 The two-cent coin was Minted in the United States from 1864-1873. Designed by James B. Longacre. 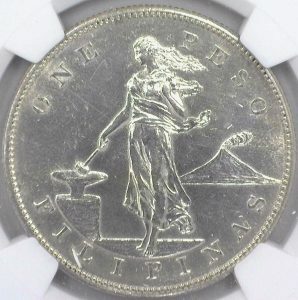 This was the first coin made by the U.S. to bear the “In God We Trust” motto. The obverse of the coin bears a shield with a ribbon over it showing “IN GOD WE TRUST,” while the reverse has a wreath surrounding the words 2 CENTS with words “UNITED STATES OF AMERICA” around the wreath. 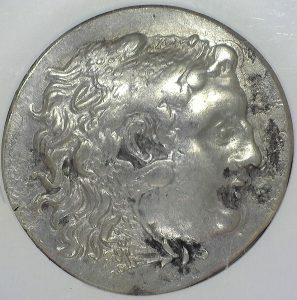 This particular coin is in AG condition and has a scratch across the shield on the obverse, but it will still make a wonderful addition to any collection.